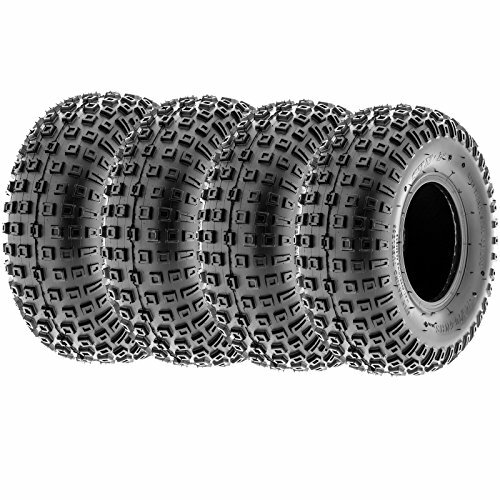 The SunF A-011 is a lightweight tire that is great for karting or youth atv. Dimple knobby tread design works great in most terrain. A perfect replacment tire for your quad ATV, UTV, Go Kart, Golf Cart or Garden Lawn Mower. Low profile design for controlled sliding and extra stability. Extra shoulder knobs for rim and sidewall protection.